I first met Perrie Samotin when we were both invited to see Anything Goes on Broadway with M.A.C. We had the good fortune to sit next to each other during the show and immediately bonded, not only over our love of beauty but our longstanding love of theater! Perrie is unbelievably knowledgeable about both beauty and fashion, not to mention she's friendly and hilarious to boot. 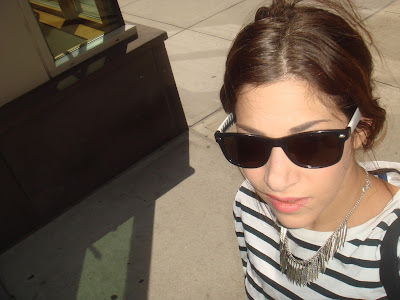 Stints at amNewYork and Theory led to her current role as Senior Editor of StyleCaster. Read on to find out how she came to work at StyleCaster, the blush she can't live without and so much more. I'm originally from New York City. I grew up in Tribeca, a Lower Manhattan neighborhood. I went to the United Nations International School, which is affiliated with the UN and the students and teachers are of various nationalities. For college, I left the city and headed to Allentown, PA to Muhlenberg, a small liberal arts college. A very different experience than high school, but a good one, too! How did you first become interested in fashion, and what led you to become a writer? I've always been interested in writing. It was a skill that came naturally to me, and I spent a lot of time in high school and college writing fiction and plays, hoping to take that route. Instead, I ended up getting a job at amNewYork, an awesome free daily newspaper. It was there that I started writing about fashion and beauty, and it just clicked! Plus, I've always loved the transformative nature of clothes and the healing power of a successful shopping trip or beauty product, which didn't hurt! I love all your posts for StyleCaster. How did the gig come about, and what makes it special for you? As much as I loved working in print, I knew I wanted to make the switch to web. However, after I left the newspaper, I made a wrongly timed move of accepting an editorial job in-house at a fashion label which ultimately wasn't the right place for me. I was incredibly lucky that a friend who worked at StyleCaster at the time told me the site was looking for a Senior Editor. It's a great place to be because it's there's a lot of freedom to try new things, which is the greatest aspect of any job. At larger companies, an out-of-the-box editorial idea sometimes can take months to get approved, and at StyleCaster we're like, "let's try it, and if it doesn't work, we don't have to do it again." Plus, StyleCaster's motto is "Style to the People," which means a lot to me personally. I've always been committed to the idea of creating fun, inclusive, content that people who are interested in style can relate to. Let's talk beauty. What are your 5 favorite products? 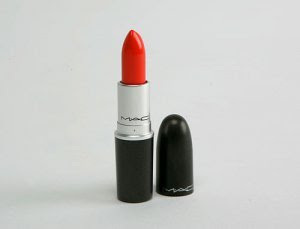 M.A.C Lipstick in Neon Orange. The absolute best and most flattering orange shade I've found so far, and I've tried many. 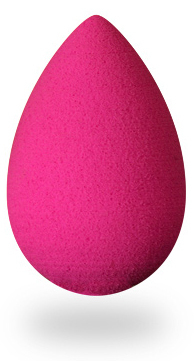 Beautyblender Makeup Sponge. When I wear foundation, it never looks as good with any other sponge. Oribe Dry Texturizing Spray. Gives my wavy hair a textured, tousled look. 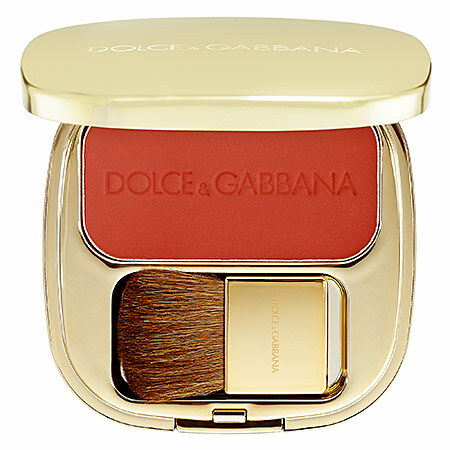 Dolce & Gabbana The Blush Luminous Cheek Colour in Sole. 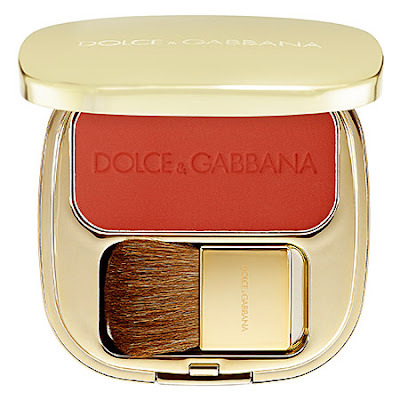 In general, red-based blush always gives me a healthy in-from-the-cold flush and this is one of the best ones I've tried. Since I also like cream blush, I sometimes mix this with a little highlighter and pat on my cheeks. Clarisonic Mia. This pretty much changed my skin. I use it with Proactiv Face and Body Wash or SK-II Facial Treatment Cleansing Oil every single day. Being a writer must be fun, but what do you do in your spare time? Hang out with my family, most of whom live near me. Also, my husband and I like to cook, listen to music and bike ride. I also love reading -- I order three books at a time from Amazon and try to finish them in under two weeks. You'll never catch me with a Kindle.